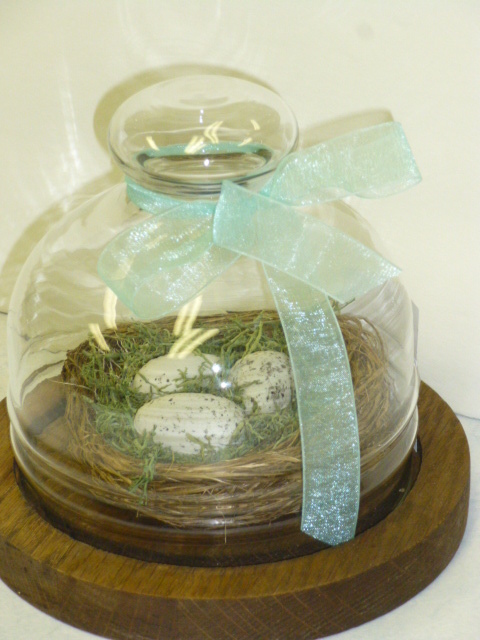 How cute is the tiny cheese board and cloche?!?! I’ve never seen one this small, so I was pretty excited when I found it. 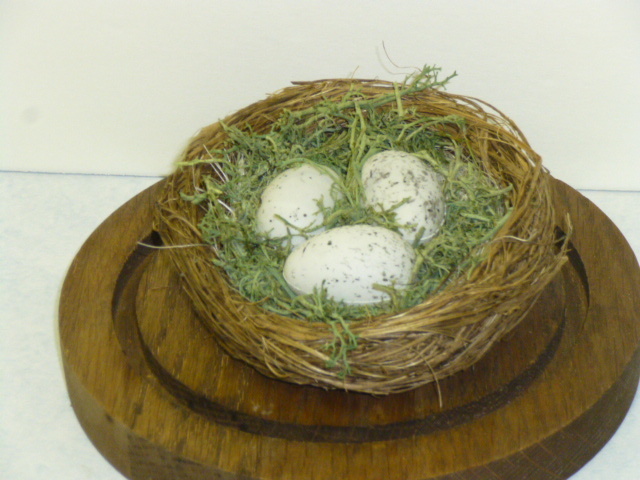 Perfect size for these little nests I have! 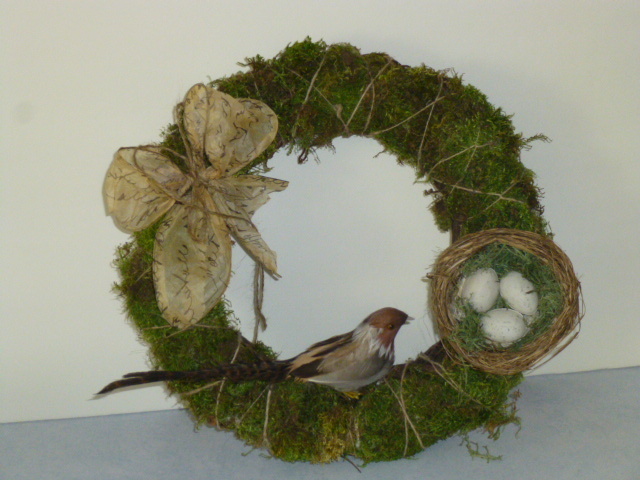 I didn’t even need to ‘do’ anything to it before I added the nest. A pretty ribbon and the price tag and DONE! 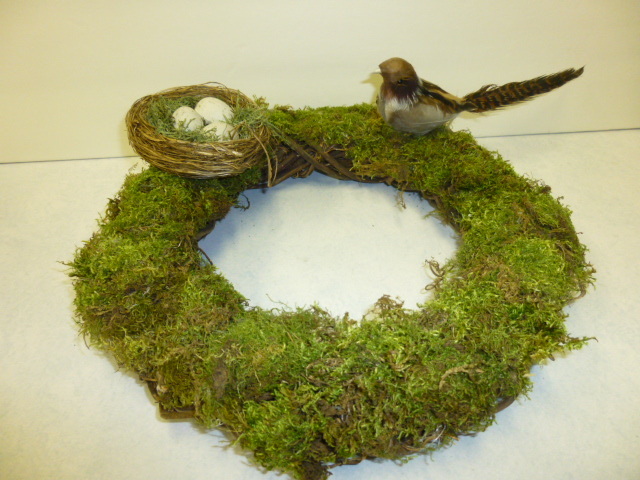 Also found this moss-covered wreath while thrifting. It’s a grapevine nest, and looks like someone just glued the moss on. 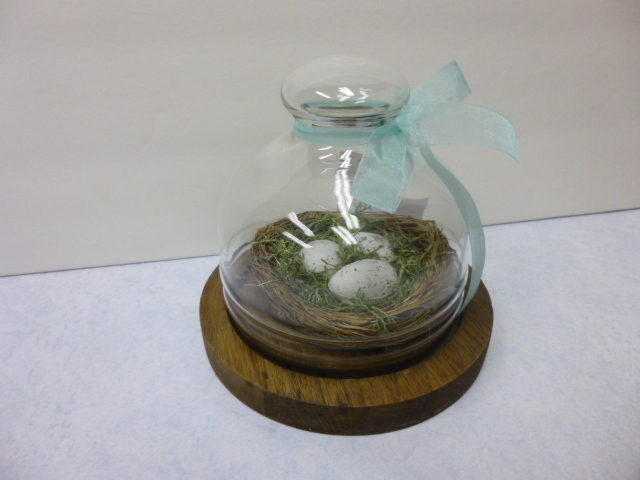 I attached the little nest and feather bird . . . . then it sat and sat and sat for weeks! It needed ‘something more’ but I was stumped as to WHAT. I just set things like that aside until something comes to me. I decided to use some of the pretty PAPER ribbon I got a while back. It’s sooooooooooooo pretty, and SO impossible to work with! sigh. I had to use wire cutters to cut the wire edges then the paper just ripped apart. GRRRRR!!! 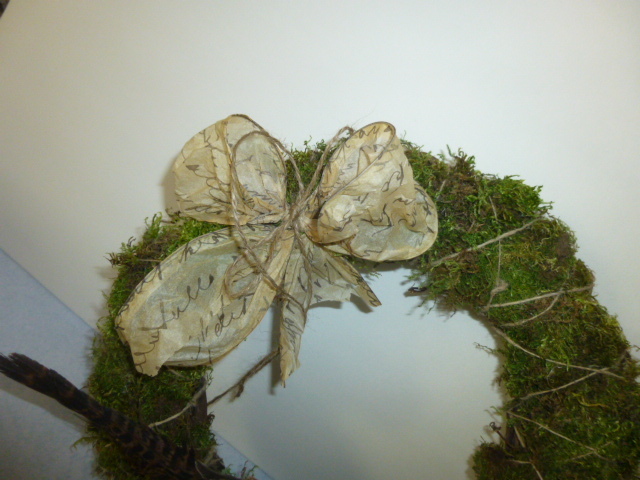 I managed to create a bow by tying jute around the center, then used that just to tie the bow to the wreath. And every time I touched the moss it would SHED! I guess it’s done??? I’m really not sure. It still feels a tad bare. Maybe it just needs a tea stained tag added??? I really try to keep the embellishments on things like this in ODD numbers, so it should be fine with three, but I just still feel like something is missing?!?!? 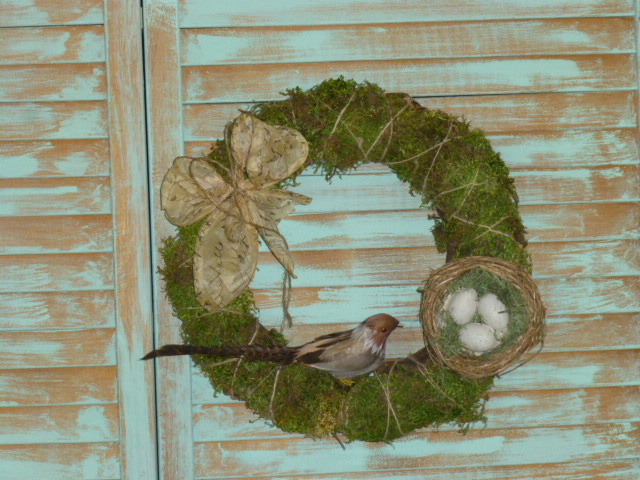 Love the wreath just the way it is. More would to much! FYI I think the wreath is lovely but if you want to add a little more try some berries ( satiny gold finish berry) in the bow for a ittle added color and see if that will work. Love your blog! Keep up the good work and the great ideas!!!! I don’t comment as often as I should because I love your blog! 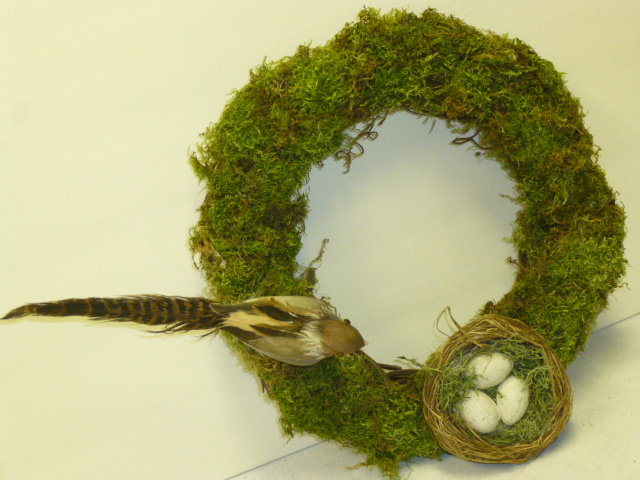 I think the wreath looks great, but I’ll bet if you did add a tea-stained tag that said “Bless this Nest” somebody would see it and say, “Aha! A perfect housewarming gift!”. You are so inspiring and creative!